Philadelphia Yoga on the Banks exists solely on the donation of students – teachers and assistants are currently receiving no other financial sponsorship. Yoga on the Banks has a Facebook following of over 4,000 members, and last year, Yoga on the Banks served over 600 individual students with donation-based, all-levels Vinyasa yoga classes. We invite you to be a part of this program, which supports accessible, healthy activities Philadelphians and the enjoyment of our beautiful public spaces. Sponsor a single session, a day of the week, or the entire Yoga on the Banks series. For more information, email yogaonthebanks@gmail.com. 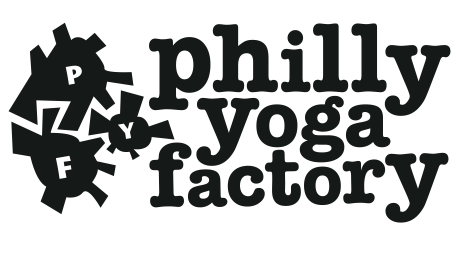 Philly Yoga Factory has supported Yoga on the Banks through the 2015-2016 Winter season by providing us a wonderful, warm place to continue our Saturday morning classes. Philly Yoga Factory provides a full weekly schedule of donation-based yoga classes in the Bikram Philadelphia Studio at 1520 Sansom St., Philadelphia.